This is the next liveblog from the World Library and Information (IFLA) Conference taking place in Cape Town, South Africa. Victoria Okojie (IFLA Chair, Africa Section, Nigeria) talked on Literacy Matters! 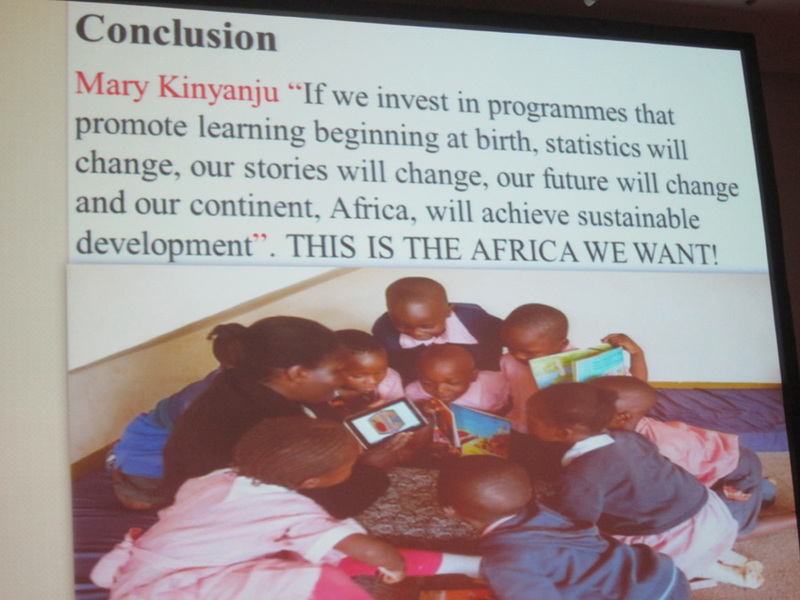 Literacy, libraries and building strong societies in Africa. She started by highlighting that Africa is a diverse continent, with countries at different levels of development. Generally literacy levels are low for various reasons (e.g. political instability, poverty) and there is a poor reading culture with a high school drop-out rate. Libraries are poorly resourced. The roll out of ICTs has been low in Africa, reflected in the lack of technology in schools and libraries. However, there are opportunities to leapfrog, as new mobile tecdhnologies come along: Africa has one of the fastest growing mobile penetration. Libraries of course have a role for literacy development, aligning with government programmes, training community leaders and trainers etc. Libraries are also identified by IFLA as helping to build strong societies, for example giving access to lifelong learning and promoting equal opportunities. Thus they can, for example, provide an enabling environment for innovation. 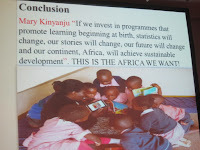 - Use of tablets: with the eKitabu project in Kenya and Opn Imo project in Nigeria. - Mobile library services e.g. donkey carts in Zimbabwe; services to Internally Displaced Persons camps. Okojie concluded by identifying the need to reprofile, reposition and restructure library services, for example to be able better to meet needs, to collaborate and to market services. There were already good examples and success, but there needed to be a lot more work to make libraries a pivot for development.